Track a Cell Phone Location for Free with a Spy App? There are few different ways to track a cell phone location for free. The best method to find GPS phone location if you have an Android-powered device is to use Android Device Manager. Start the phone tracker application. Get to the bottom of the page to view all your devices. Choose the phone you want to find out its exact location in real time. Find phone location on a map. Also, there are other ways to find my android phone/track android phone for free. We tried to cover the most valuable ones in this article. Check it out! “Prevention is always better than cure.” If you can prevent it from happening, then it is way better to act on it immediately before something bad even happens. This is the first step in treating a problem. Losing a mobile is an inevitable circumstance that no one would like to happen. This is why it is advisable for you to secure your device before you even lose it. If you have a smartphone, you are perfectly good to set up your tracking system. You may consider installing tracking application software to access or hack your mobile online, for free. Some of the applications are available for both Android and iOS OS. You have many app choices that are available for you in the play store. In order for the locator to work, you need to make sure that your cell is equipped with the relevant mobile phone location software. Examples of the mobile location software include the following below. You can refer to your manufacture’s brand for its location software to be able to target the location of your smartphone. How to Find My Android Phone If I Lost It? Sometimes, no matter how careful and detail you are with your things, there will always be chances that you miss out on something. If in any case you lost your device and you forget to install a recovery or locator software on it, you don’t need to worry. There will always be ways on how to monitor or hack your phone after you lose it. Let’s start with Samsung phones. All the Samsung users out there should learn that to find Samsung phone you need get just one thing. 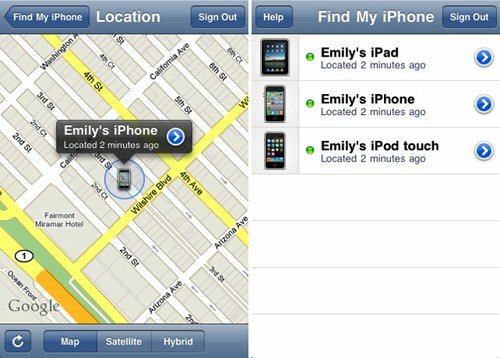 The app is called Find My Mobile and it very similar what Apple offers with its Find My iPhone. The process of identifying phones is also very similar. The built-in program is available in Samsung Galaxy models and is free. And even those free features that it has are great to locate your device and do a couple of other useful things. Delete all data on your smartphone remotely. To use Find My Phone you don’t need to waste too much time or to have some extreme skills. Here are just a few main steps you need to do to monitor your device’s location. Register Samsung account – you need it to access the Find My Phone app. Just go to your Android settings and find Add account button. Press it to start new account right away. And don’t forget to enable it. To track a location of a device, the app should be on. Enter your private cabinet – use your personal Samsung ID and password. Track location – it is the main action. Tap the Find My Phone button to start tracking. Look for your device on a special map or use any of other settings we’ve described earlier. The Android Device Manager application links your phone to your existing Google account. Hence, it helps find and hack the phone you lost that is associated with it. If you do not want anyone to hack your online information, you can hack and delete all data remotely. It is possible also to hack your device to reset its PIN. It is very easy to state using this great app. To find phone location, you just need to tap the launching toggle. Android Device Manager is set to work in the background without interrupting any of your actions. But any time you need to find out your device’s location, it is there. Android Device Manager is easy to use and is totally free. If you need to learn how to secretly track a cell phone location for free, this is the best choice you have. Start Android Device Manager – just go to Settings and tap the Security section. You will find the location tracking application in Settings and Security section. Choose the feature you want to activate. Location Access – get to the Settings section and tap on Location button. Track your phone’s location – get another device to start the application there. Get into your Google account and find all the devices connected to it. Choose the one you want to track and find it on the map. Also, you can launch any other features we’ve described in the previous section. All those of you who want to find out how to track a cell phone location for free with the number of the cell phone, we must say that it is almost impossible. There are some special websites that state they can track any phone’s location by just one phone number, but their effectiveness is questionable. The one truly effective way to succeed is to ask the operator to get you the info about your lost device. But it is a long process and not always successful. We recommend not wasting your time and getting something working. The iPhones come with “Find My iPhone” application. It offers the opportunity to link your iPhone to the iCloud application. So in case you lost your iPhone, just open it in the web browser. The location of your missing phone will be shown on the map. You can further sort of hack or lock the phone remotely or enables the emergency message display. In worst cases, you have the option to delete all data and messages in it. So, no one can hack your device. Deleting all the data in your phone should be your last option if it got stolen. This is to avoid perpetrators to hack or spy on your personal information. The same story as with the regular smartphone. If you want to find out how to track an iPhone by phone number, you need just to know one thing. Phone numbers are personal information and dealing with this point requires some serious approach. If you need to use this method to track your device’s location, you need to contact your provider and figure everything out. Here is the chapter with tips on how to track my phone by Apple. Modern gadgets are usually too expensive just to buy a new one after you’ve lost your smartphone, especially iPhone, which is one of the most expensive models on the market. And there are tons of data that is important to us too. If you’ve lost your iPhone, there are three ways to get it back. You can install a special spy app, track it via iCloud or use a special program called Find My iPhone. Both can be free, but the second one is more effective in the free mode. Let’s start with it. Find My iPhone is a simple to use and powerful tool developed by Apple. It is dedicated to those needs of people who lost their gadgets somehow. Except for those tracking features, this thing can also do few more. Let’s learn how to use it. Deal with an accurate GPS tracker app pointing your device location on the map. Launch a maximum loud alarm siren so everyone who is near your lost device can hear it. Lock your iPhone remotely from any part of the planet. Needs a special password. Create a special message to show it on the screen of your iPhone to the person who will find it. Show the most optimal route to your lost device’s location. You can erase your phone’s memory entirely so it could not be accessed by a stranger. Install the application – like any other app by Apple it can be found in App store. You need to install the app on your phone and activate it. It is impossible to find your phone if the app is off. You should just enable Find My iPhone in settings. Track phone’s location – to start tracking your lost device’s location, you need to get the app started on any other Apple device. Start the program, get to your account, and find your device on the map. All the features we mentioned before are also available. Another great method to find lost iPhone is to use iCloud. Some spy apps even work with this platform as it does not require a jailbreak. The iCloud method offers all the same features as Find My iPhone app. Here is how it works. Log in with iCloud using your unique Apple ID and Password. Click on Find my iPhone button to start the program. You will see the map with all your devices linked to this account located. Click on one device that is lost. Now you can launch any action from the list – lost mode, alarm sound, erase the memory. Some people say that spy apps would be the most reliable and easy way to find your or any other person’s device. We should agree with that statement. Spy apps these days are extremely powerful, and you can easily monitor any phone you have access to or know at least few details. Some of those super programs work without rooting Android smartphones and others can deal with non-jailbreak iPhones and iPads. And the most pleasant thing about these incredible programs is their trial versions. Some programs set limits on various features and things like that forcing their customers to buy full versions. Other developers are kind to give their users an opportunity to try the full version of the program and just then buy it. And that is what we all love about those spy apps. Or there is something more? Let’s check it out! How to Track a Cell Phone Location for Free Using Spy Apps? And it is not a limit. Some of them can even record calls and surroundings! To install a spy app, you just need to visit its official website and download the program. Then create your account on that website and use the app via its control panel. Yes, that simple. My granddaughter is messing up and I would like to be able to track her phone without her knowing about it can I do it from my phone by putting her phone number in and she won’t find out? i want to track my husband where he is and who with him. I want to track my boyfriend without him getting to know can I do that. How to Hack an Instagram Account if you are not a Hacker?